Has your washing machine been giving you trouble? Maybe it doesn’t seem to get your clothes clean anymore, maybe it fills or drains way too slowly, or perhaps it won’t turn on at all. 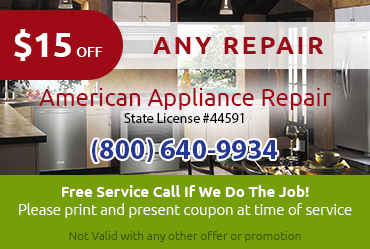 The easiest way to figure out exactly what is wrong and how to fix it is to call American Appliance Repair for washing machine repair in Diamond Bar CA. Whether you have a brand new model with all the latest high tech features or an old, simple model from an off brand, our skilled and experienced technicians can provide the repairs you need. 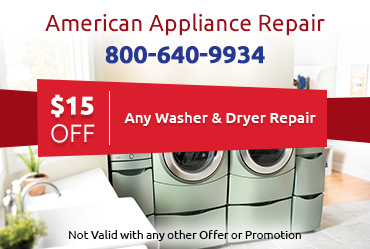 We Provide Same Day Repairs: At American Appliance Repair, we understand that having your washing machine break down is a huge inconvenience. That’s why we offer same day washing machine repair in Diamond Bar CA whenever possible. We Speak Your Washer’s Language: These days, many washing machines are packed with electronics that control all kinds of special features. When something’s wrong, the machine may display a cryptic error code. Our technicians have the training and experience required to understand what these codes mean and what repairs must be done to clear them. We Use Quality Parts: The quality of a washing machine repair in Diamond Bar CA is only as good as the quality of the replacement parts that are used. 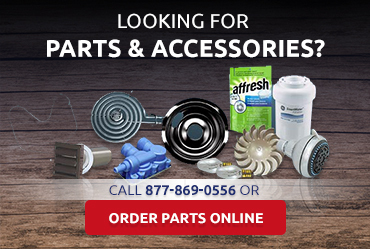 At American Appliance Repair, we only stock top quality parts, including factory authorized parts whenever possible. 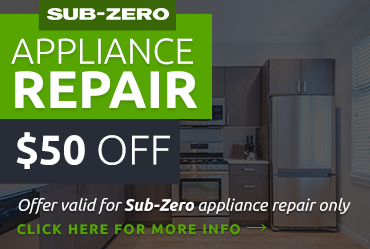 This gives our clients more reliable, longer-lasting repairs. We Offer Fair Upfront Pricing: The first step in every washing machine repair in Diamond Bar CA we provide is a careful inspection of the machine. Then, once we know what the problem is, we can provide a reliable estimate for fixing it. We strive to keep our prices fair and competitive without ever cheaping out on the quality of our replacement parts. We Care About Your Satisfaction: At American Appliance Repair, we want our clients to feel valued and respected every step of the way. We hold all our employees, from the phone receptionists to the repair technicians, to high standards. Don’t live with washing machine problems one day longer.Call us at 800-640-9934 now for fast repairs.